In this chapter, Sarah Casteel identifies contemporary Caribbean literature as a productive space in which to anchor a relational analysis of Jewish and (post)colonial experience. More specifically, she argues for Caribbean literature as a medium of cultural memory that attests not only to the circulation of Holocaust remembering in colonial settings but also to the resonance in this context of the Sephardic expulsion. Registering the Caribbean’s deep and multilayered relationship to histories of Jewish refugee resettlement, contemporary Caribbean literature engages in a complex triangulation of memories of slavery, Sepharad, and the Holocaust. 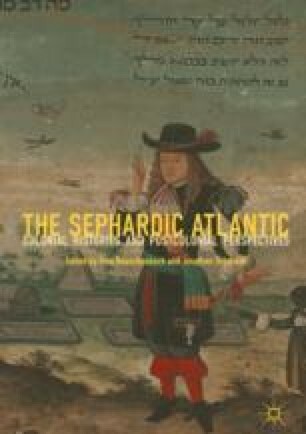 The overwhelming focus on the Holocaust both in the postcolonial-Jewish discussion and in the field of memory studies has obscured this practice of triangulation as well as the importance of Sepharad as a vehicle for multidirectional memory.